Water, H2O, Aqua, call it what you like but it’s essential in order to maintain life. While we all know this, it’s surprising to hear that up to 75% of Americans are chronically dehydrated. Did you know that over 60% of our body mass is, you guessed it – water? Water is used to maintain several body functions and helps to regulate body temperature. We lose water every minute that we are awake and even while asleep in bed through digestion, sweating, and breathing. The more physically active that you are and the hotter it is, the faster your body loses water which must be replaced to avoid dehydration. By losing only 2% of the water in the body, symptoms of dehydration such as headaches, dark yellow urine, dry mouth, and dizziness start to set in. Due to the fact that water facilitates so many bodily functions, it’s important to stay on top of your hydration. Many people hydrate by consuming beverages such as soda, energy drinks, and coffee. While these drinks do provide water, they also contain lots of sugar and other harmful ingredients. When it comes to ensuring proper hydration, there’s nothing better than good old water. You may be surprised to hear that the amount of water that you consume may correlate with your snoring problem. When dehydrated, mucous membranes in the throat, nose and soft palate become sticky. The sound of snoring occurs when tissues surrounding the airway flaps around and collides with each other. This thick sticky mucus coats the airway and can cause the tissues to stick to each other, which will amplify the sound effects that are made by snoring. By consuming plenty of water, this mucus thins out and will no longer be sticky. So drink a lot of water and my snoring will stop? While dehydration plays a role in snoring, remaining hydrated is not going to guarantee that your snoring will stop. There are several other causes of snoring that are possible such as the jaw and tongue relaxing and obstructing the airway. The easiest and only way to find out if dehydration is the cause is by drinking enough water and by asking your bed partner if it helped. Even if your snoring is not being caused by lack of water, you will still enjoy the multiple benefits of remaining hydrated such as the removal of toxins from the body, clear skin, better functioning muscles and joints, and better cardiovascular health. The average American only drink 20 ounces of water per day. How much water should we be drinking? Depending on who you ask, you will get a different answer. Mayo Clinic says that it depends on where you live, your health and activity level. They later mention that the Institute of Medicine suggests that men drink 3 liters per day while women only drink 2.2 liters. Health Line suggests that adult males consume 3.7 liters while women consume 2.7 liters. 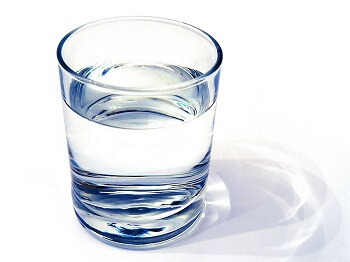 WebMD suggests the standard eight 8 oz glasses per day (64 oz per day or 1.8 liters per day). They go on to further say that this amount will vary if you are pregnant or breastfeeding, sick, or exercise in a hot environment. Then there are online hydration calculators that will calculate a suggested amount of water. These calculators often use a formula to make a calculation and often take several factors into consideration such as gender, height, weight, age, urine color, amount of sweat, activity level and temperature level. While the recommended amount of water will vary depending on who you ask, most experts seem to agree that women need slightly less water per day than men. In general, the average person should probably drink somewhere around 3-4 liters per day, which is a lot if you are not accustomed to drinking water. This brings us to the next question which is, “How do I ensure that I’m drinking enough water”? Making water drinking a regular habit is one of the best things that you can do for your body as it benefits the body in so many ways. How do you go about ensuring that you are consuming enough water each day? There are actually several ways of doing this. It’s important to note that eating fruit and other foods that contain water will count towards your daily fluid intake. Here are three ways that you can use to increase your water intake. While not the most fashionable accessory, you may want to consider carrying around a water jug in the car, at work and while at home. When I say a jug, I mean a GALLON jug. Why carry around a whole gallon of water? Because there are about 3.75 liters of water in a gallon which happens to be approximately the amount that most experts suggest. Use a permanent marker to draw lines on the jug indicating how much water you have drunk so far. Make it your goal to empty the container or as close to ideal as possible. If carrying around a gallon jug is not your style, try a large quart size water bottle. In order to get the proper amount of water each day, you may have to refill the quart container 3-4 times per day which can be challenging to keep up with. Those who are accustom drinking flavored sugary drinks may find it very difficult to switch to water because it is often seen as tasting bad. Nothing could be further from the truth if you drink filtered water from a good source which should have no taste at all. It’s true that not everyone has access to great tasting water. Some areas have downright bad tasting water. These people may have to purchase bottled water. While bottle water is fairly inexpensive, it can be a hassle to transport. For those who have bad tasting water or simply cannot drink water because of the lack of flavor, try adding some flavor. 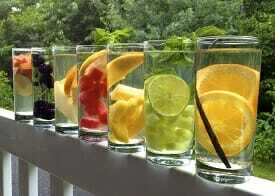 Natural flavoring, such as from fruit, is perhaps the best way to make your water more interesting. Cut up a whole orange into thin slices and add it to your water. Try adding blueberries and strawberries halves to your water. Allow them to sit in a container of water overnight so that the water can absorb the flavor. If natural flavoring is not enough, you can always try artificial flavoring. While not the best for you, artificially flavored water is typically better for you than drinking soda or energy drinks. 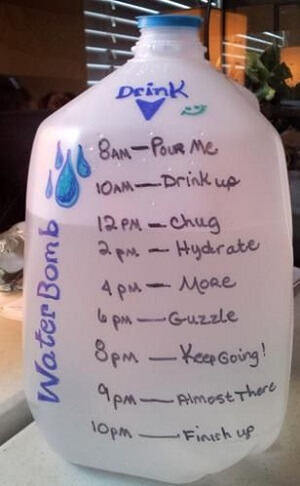 If you are not a fan of sipping water, try incorporating it into your daily schedule. When you wake up in the morning, this is the most dehydrated. Make it your goal to drink 2 glasses first thing in the morning. Try another glass or two before lunch. Drink another sometime after lunch and before the end of the workday. Drink a glass on the way home from work and another after dinner. Finally, drink a glass or two before going to bed. Drink it fast, drink it slowly, whatever works for you. The important thing here is to ensure that you get enough and make it a daily habit. Water is an important part of life, although most people tend to ignore this fact. If you are suffering from snoring, give proper hydration a try first. You may find that being properly hydrated reduces or completely eliminates your snoring. Even if it doesn’t it’s a great habit to adopt. If you have tried hydration and have found that it’s not stopping your snoring, it may be time to consider an anti-snoring product. There are several different gadgets that can help with snoring such as nose pins and mouthpieces. 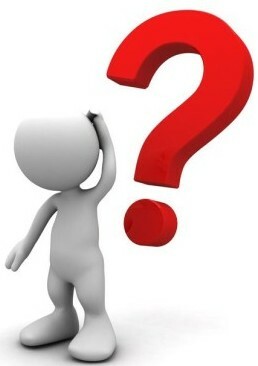 On this site, you can learn more about how snoring mouthpieces work and how to choose one. The $9.99 mouthguard on tv that stops snoring: What’s the catch? Where Does Snoring Come From and How to Choose a Product That Stops it?